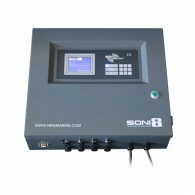 Soni8 is the latest addition to the Sonihull range of ultrasonic anti-fouling technology. 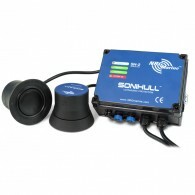 Designed for the commercial marine market’s demand for a cleaner, more cost-effective way to protect multiple areas and devices against marine bio-fouling, including hulls, structures, tanks, pipes, sea chests,..
HOW IT WORKS Sonihull systems produce multiple bursts of ultrasonic energy in a range of targeted ultrasonic pulse frequencies. These pulses are transmitted through the material that the transducer is attached to: your hull, prop shaft, pipework, jet drive, sea chest etc... The pulses produce a..